are available at a special price only on Etsy. 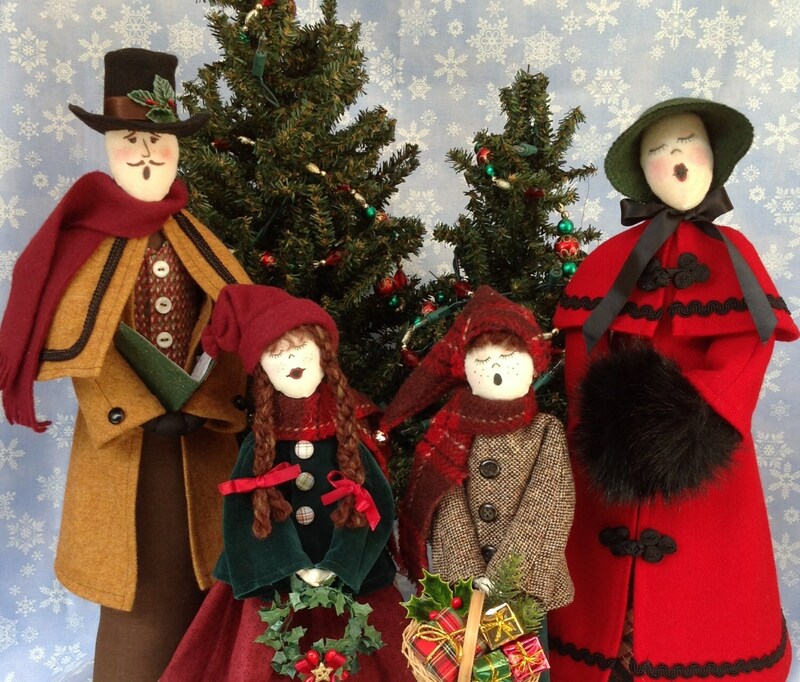 The adult doll patterns are approximately 17" tall. 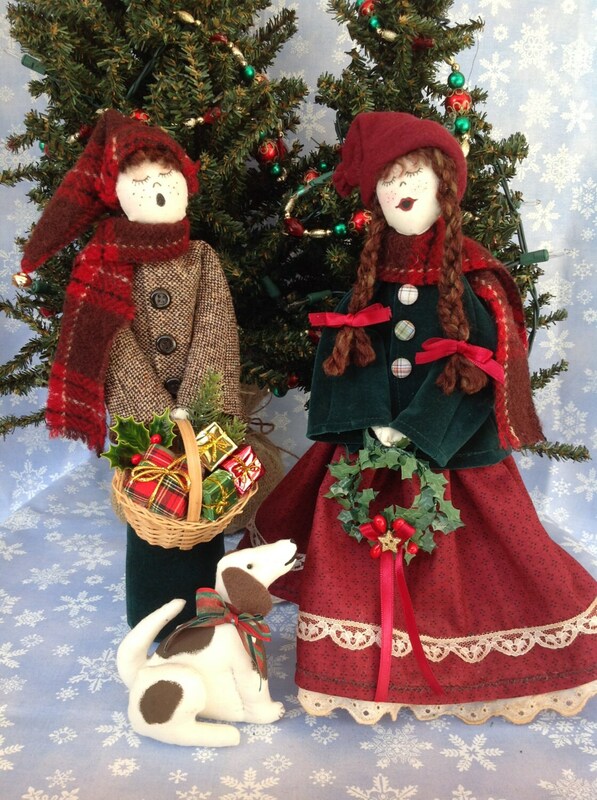 The boy & girl dolls stand 12". All dolls are designed to be free standing. 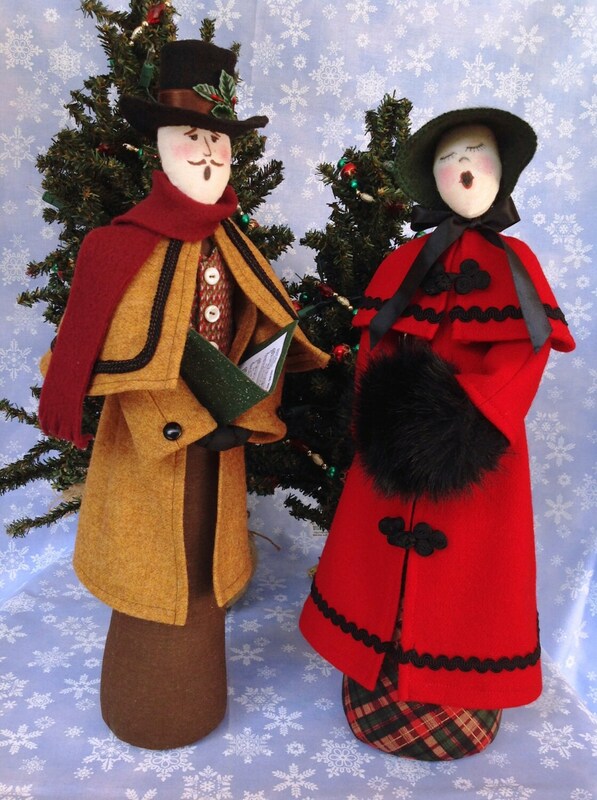 Create your own handmade Victorian Carolers scene singing the songs of Christmas. Each PDF download comes complete with easy to follow instructions, doll pattern, clothing pattern and suggested materials list. The instructions and pattern for completing the dog are also included.